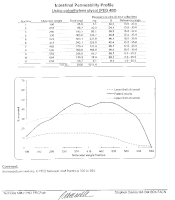 The results are back for our 4th tester in the MeBO-Biolab gut dysbiosis study. A male in his mid 30s who has had his odor problem for over 10 years. He feel it is systemic but writes that he also suffer from rectal odor. 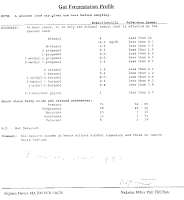 He has a number of other health problems such as gut issues, and Irritable Bowel Syndrome (IBS) and Chronic Fatigue Syndrome (CFS) as well as psoriasis. 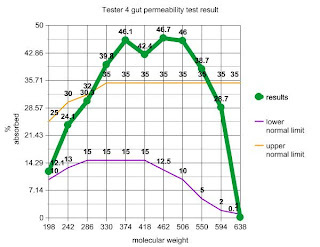 The results came back mostly normal apart from the gut permeability test, which was extremely 'over-absorbing' around the mid-range of the molecules taken, meaning leaky gut. 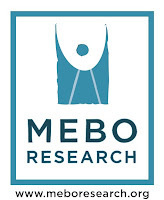 About MeBO Research : MeBO Research is a recently started patient-advocacy group looking to stimulate research and help into systemic body odors and systemic halitosis in any way possible. It aims to become a charity when funds allow.